It all started in 2014 on our first trip together to Australia and a road trip along the coast of Western Australia. We were overwhelmed by the incredible kitesurfing-conditions compared to Europe, where every pretty much every good spot is overcrowded and rarely as beautiful as the spots we found down under. Since then, we are fascinated and quite in love with the country, its people and the amazing wildlife. Every year we came back and there were still new places and kitesurfing-spots to discover, away from the main tourist tracks. Now we would love to share this off-road kitesurfing adventure with you. You dream of it – we take you there. In small groups we will unite like-minded kitesurfing and nature loving people. Our goal is not to operate impersonal mass processing-tours. Instead we want to share our passion with you and we want you to have the same amazing experience in this beautiful places as we had. We want you to feel like you travel almost by yourself, just in a small group of friends and have a great time on this amazing spots and beaches. Places we will guide you too, are not only remote and untapped but also very difficult to find. Without 4WD and the knowledge of the area you will not be able to get there. Furthermore, we want to help you improve your kitesurfing skills. We will help you with tips and advices and do our best, that you will make the most of your time with us. And in case you are a total beginner, we are even more motivated to get you inspired for this amazing sport. With professional kitesurfing-lessons we will get you from zero to hero. Jano is the founder of lebendigkite and is organizing the trips. He is doing the kitesurfing lessons as well. He speaks English and German. In 2008, he started kitesurfing. 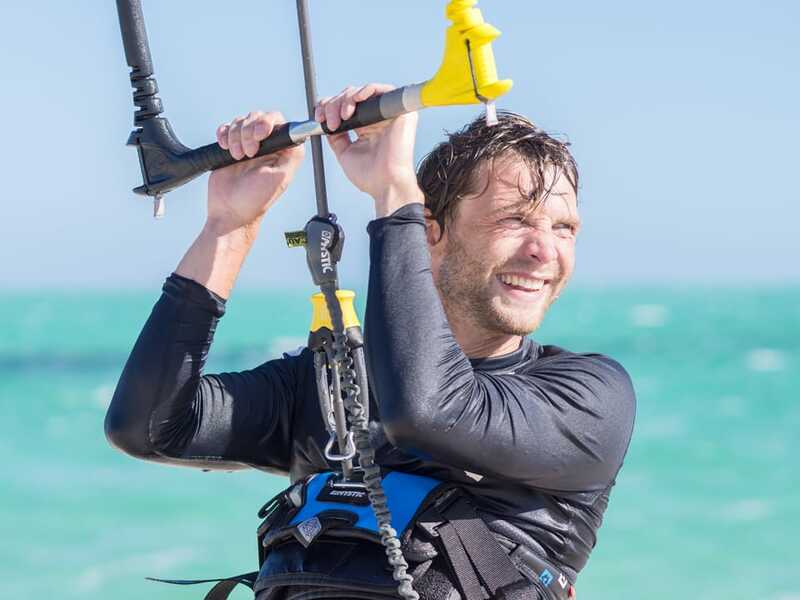 He has been working as a Kitesurfing Instructor in Germany, Portugal, Brazil and Mauritius. Besides being passionate about kitesurfing, he loves traveling, what led him to beautiful and well hidden places all over the world. Getting in touch with foreign cultures, made him become an even more open-minded person, full of experiences and great memories.